Taking Care of Business is a time-based performance/installation that lasts the run of the exhibition. 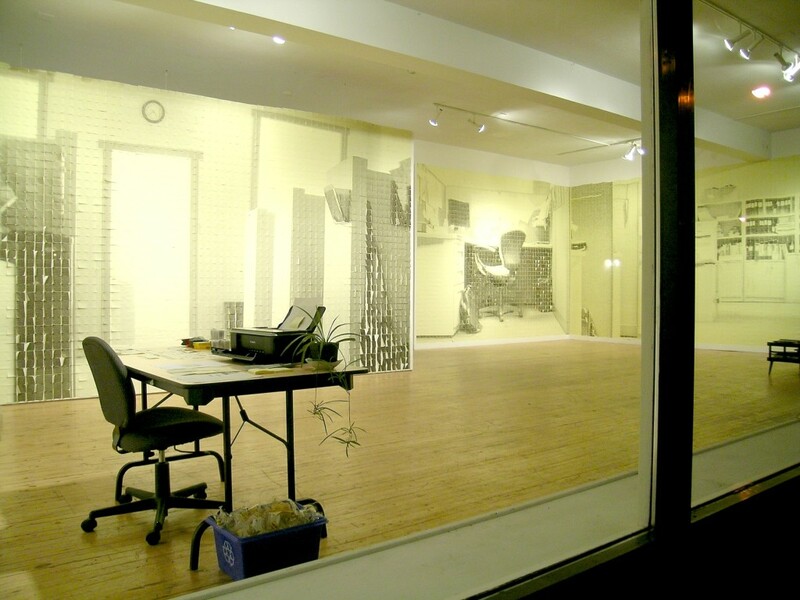 The performance is the work process itself: I have created multi-wall murals out of 12,040 photo-printed Post-its. These murals depict the social entrapment of the everyday North American white-collar workforce. In creating this body of work, I have subjected myself to a robotic routine through systematic repetition which paralleled a 9 to 5 office job. I am mesmerized by the drudgery of daily office routine.